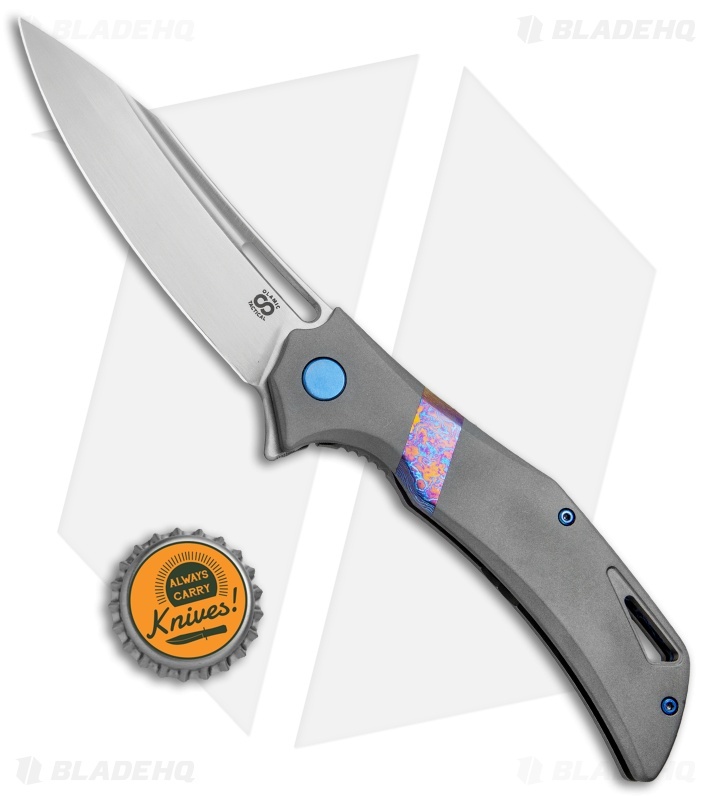 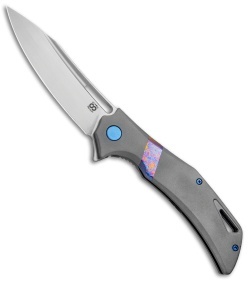 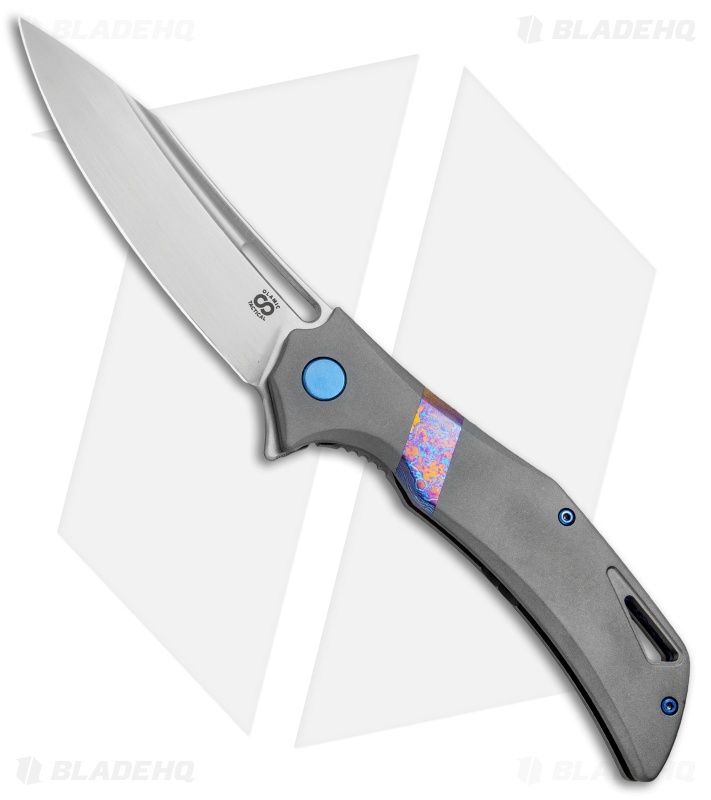 This Swish model features a Darkblast finished titanium handle with a Ti-Damascus inlay and blue anodized hardware. 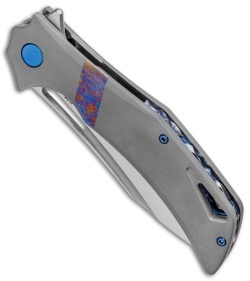 It comes equipped with a satin finished blade. The Swish from Olamic Cutlery is a sleek EDC flipper knife with a dramatic modern design. It has a slim profile titanium handle, contoured in all the right places for a superior grip. The large Elmax steel blade offers a modified spear design with a curved edge and a sharp point. 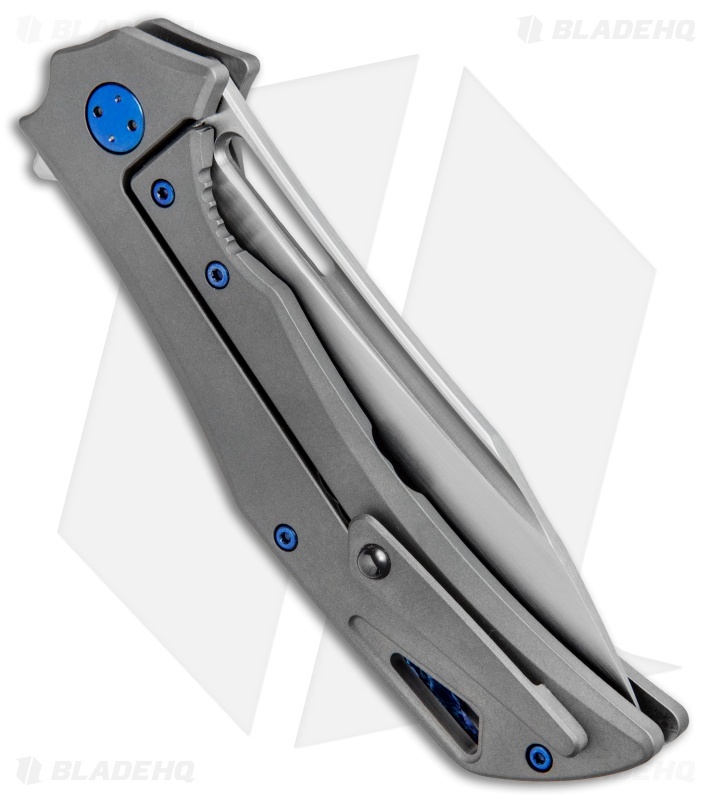 A sculpted backspacer and a stout titanium ball bearing pocket clip finish off the piece.